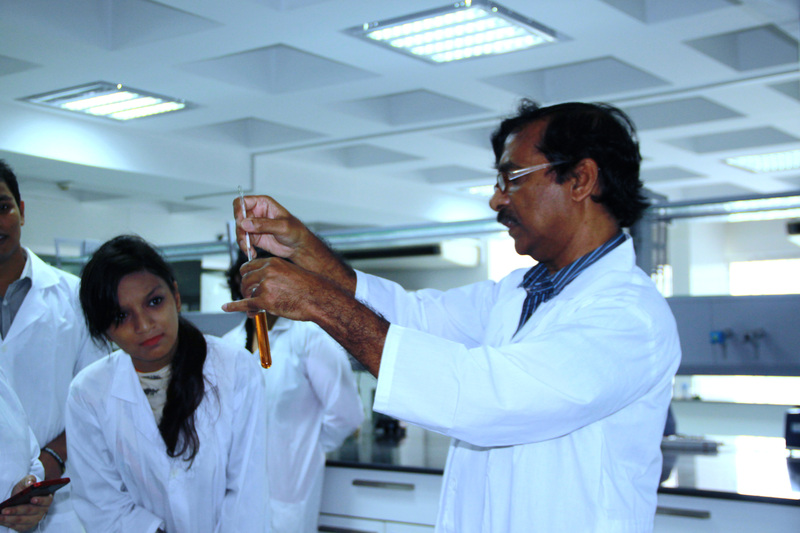 In response to a call by the United States Department of State for applications to the competitive Fulbright Specialist program in September 2014, the School of Life Sciences (SLS) at IUB submitted a proposal which was selected and awarded funding to bring Professor Mohammad Alauddin from Wagner College, New York, USA to IUB. 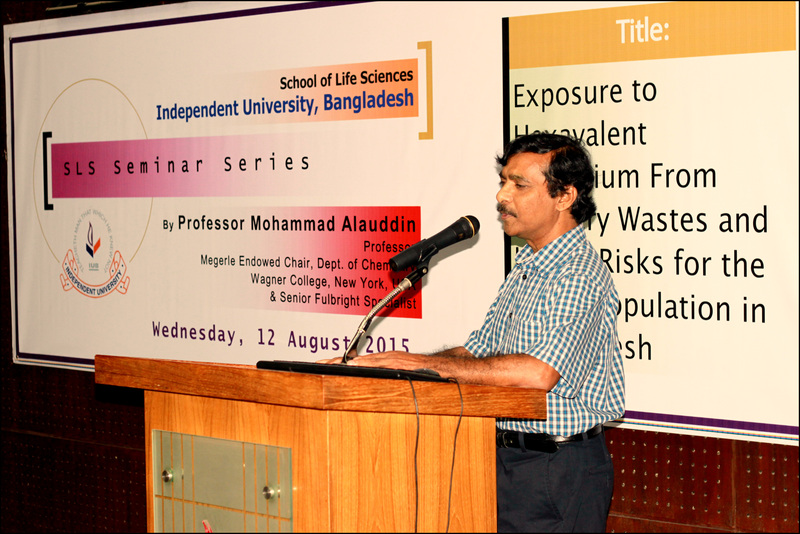 Professor Alauddin currently holds the Megerle Endowed Chair of the Department of Chemistry at Wagner College. 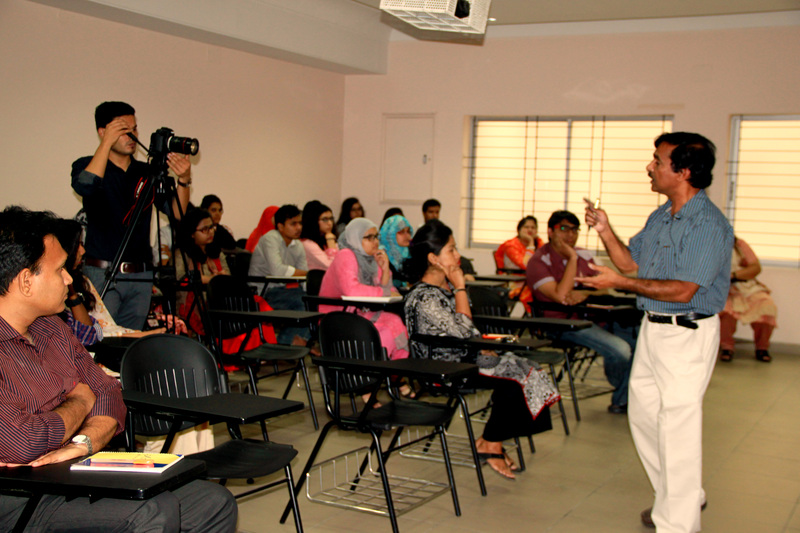 He is an expert on various environmental exposures and their health effects on the Bangladeshi population. His interests range from the pharmacodynamics and chemoprevention of arsenicosis to measurements, health effects, and possible remedies of environmental toxins such as lead and chromium. 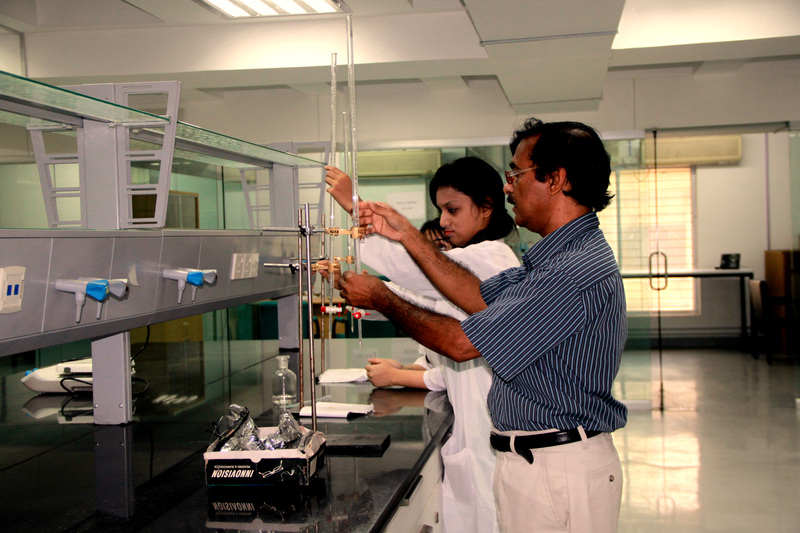 During his two week stay at IUB from Aug 3 – 18, 2015, he has concentrated mainly on re-designing the general, analytical, and organic chemistry lecture and lab curricula in order to provide a solid basic foundation for the biochemistry and microbiology students at SLS. He has also provided invaluable training and mentoring to faculty members on innovative and interactive methods needed to teach important concepts in basic science which involve analytic and problem-based scenarios. He has also involved various members of the SLS faculty members in joint international research projects and hopes to recruit students in these ventures as well. 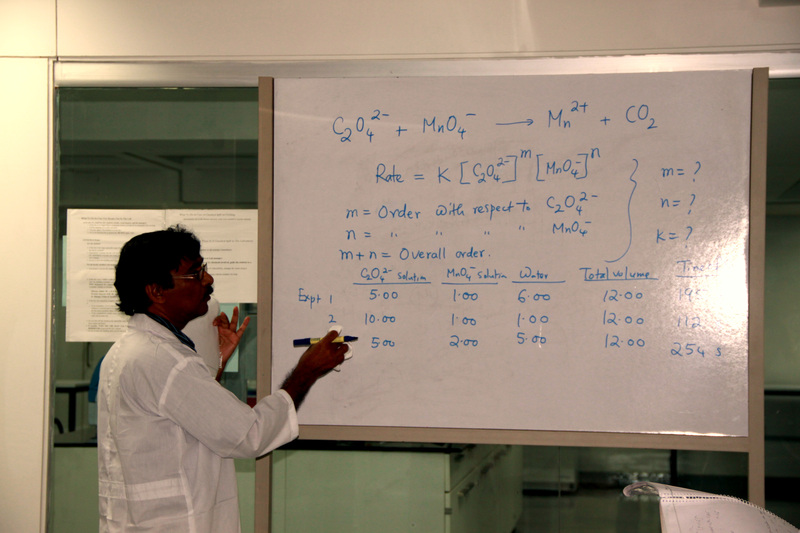 In addition to providing hours of individual and group interactive sessions with the students and faculty members of SLS, he has also provided a lecture on “ Introductory Chemistry”, which was open to the university as a whole as a “master class” on how to engage students in class. 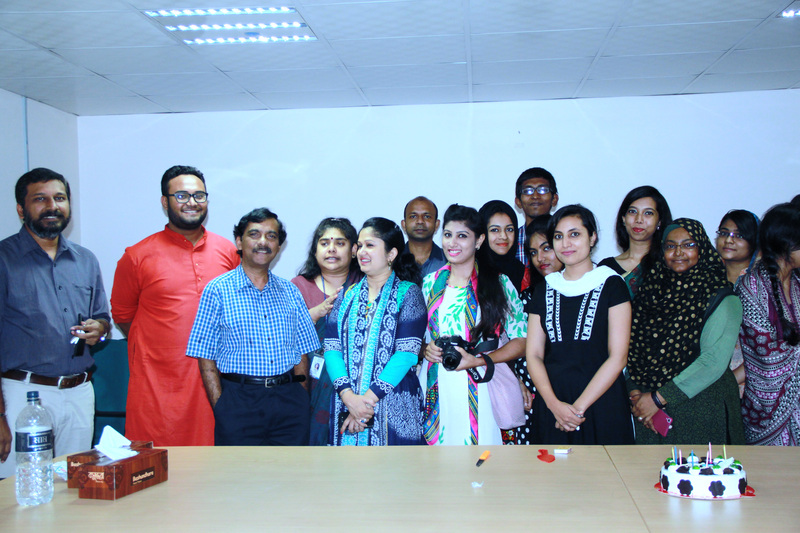 Professor Alauddin’s stay culminated in a university-wide seminar he gave on “Exposure to Hexavalent Chromium from Tannery Wastes and Health Risks for the Urban Population in Bangladesh”. In January, 2016, Prof. Alauddin will return to complete his assignment as Fulbright Specialist to SLS. SLS hopes to continue engaging him as an instructor of its chemistry courses through the video conferencing facilities available at IUB.